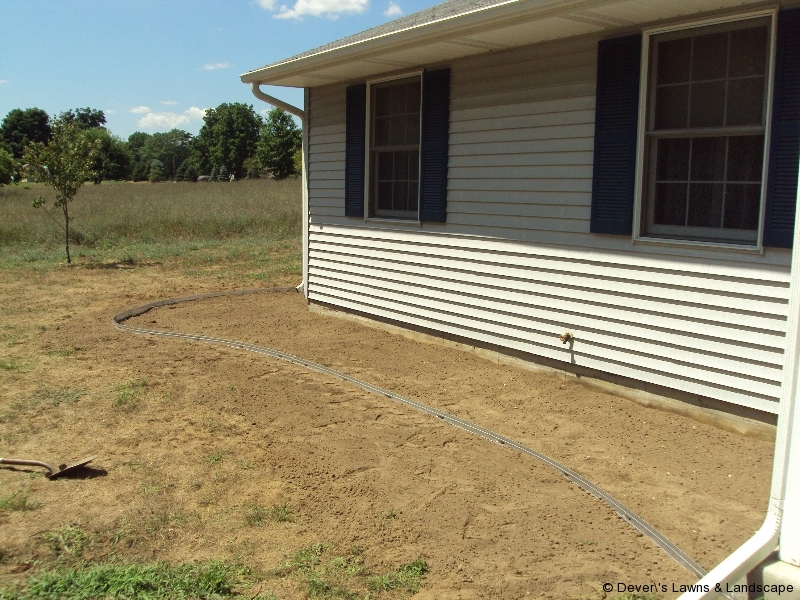 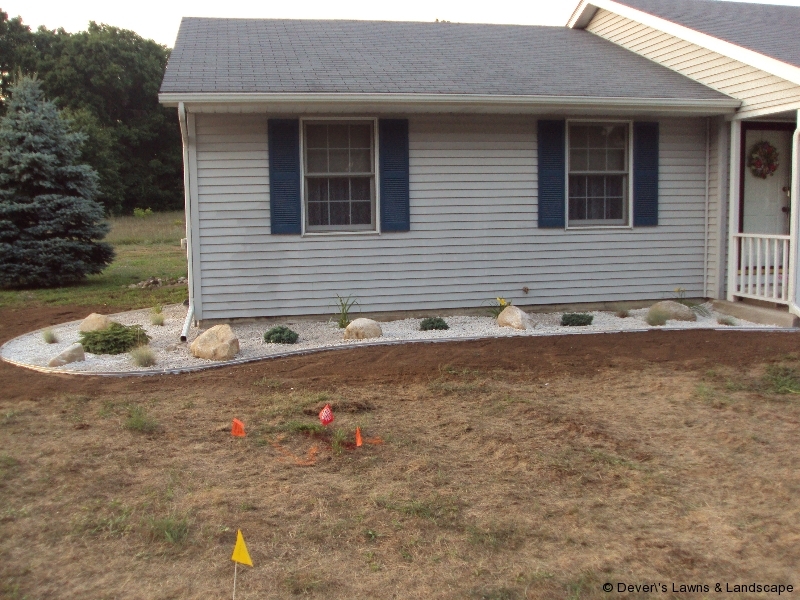 This project occurred at a relatively new single story ranch-style home a few years after construction and before the owner began installation of the lawn in the front and side yards. 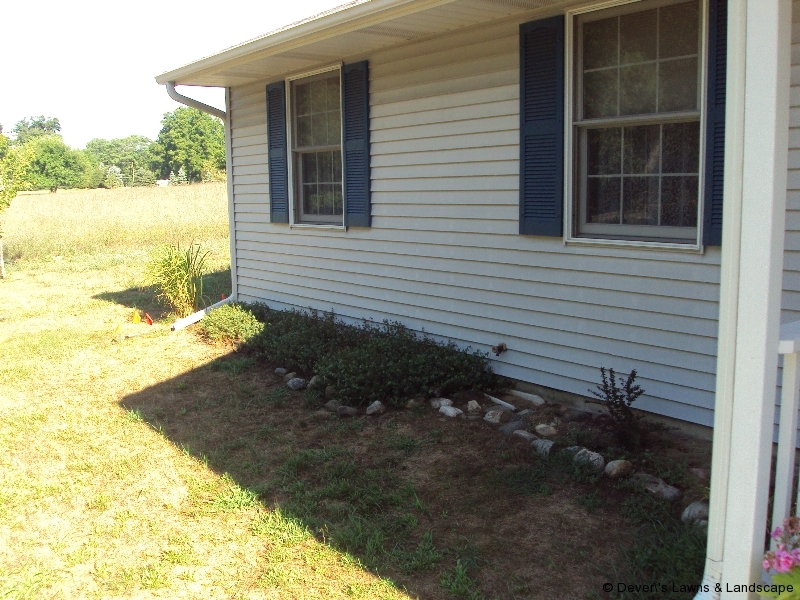 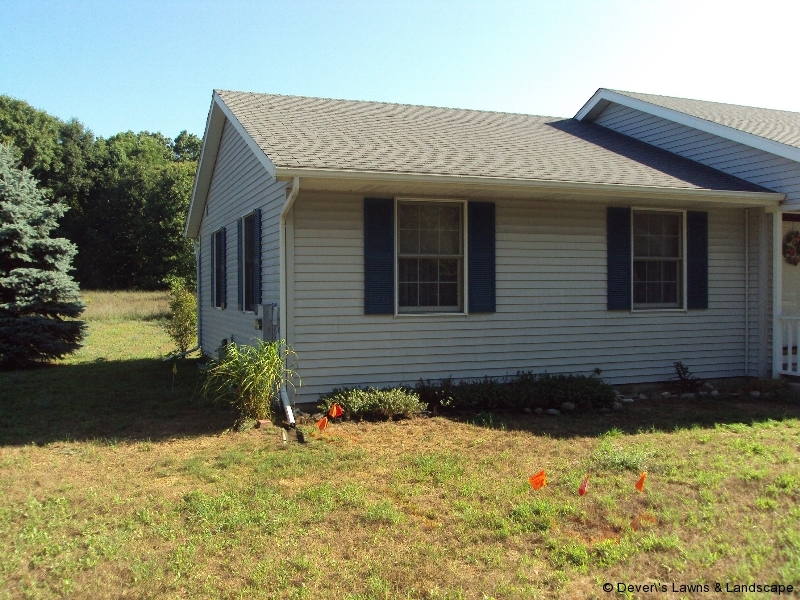 An earlier landscaping project occurred between the front door and the garage in front of the porch (seen in the background of Slide 7. 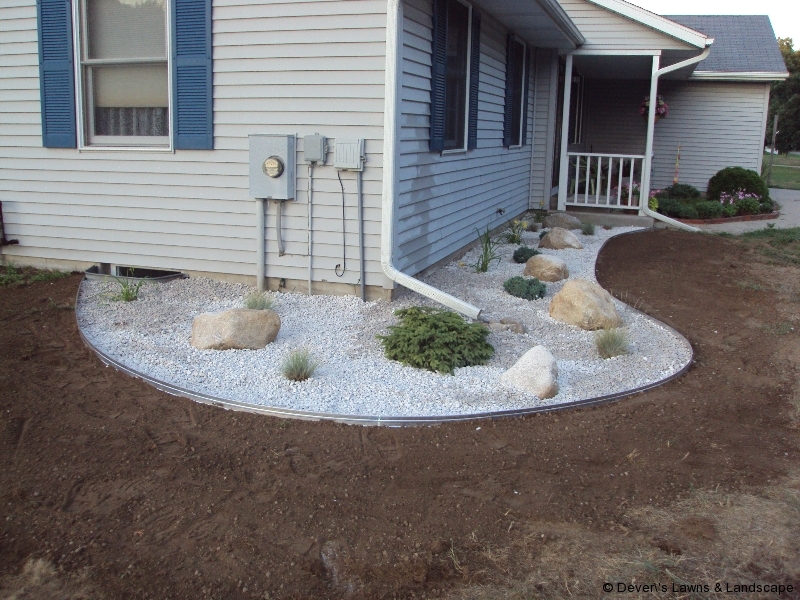 This project significantly improved the previous landscape which had only minimal form and definition. 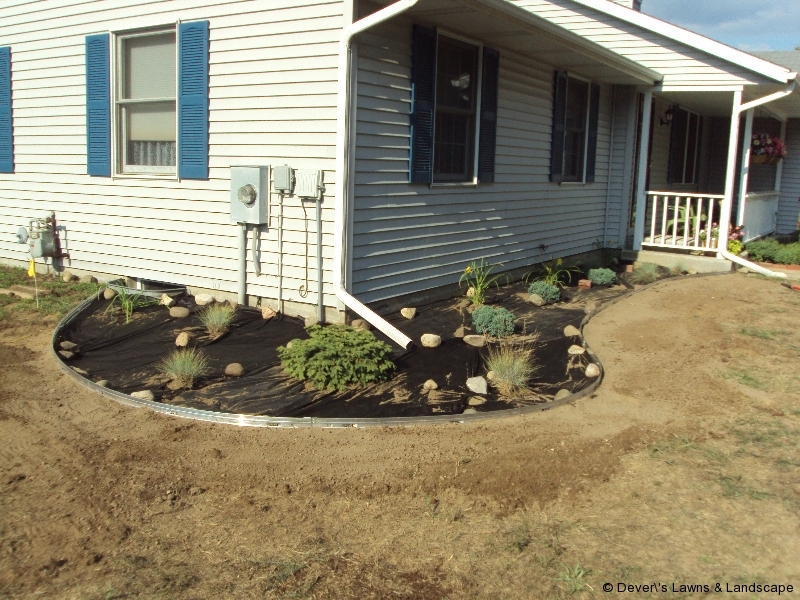 The landscape base and edging installed will prevent unmanageable weed growth and define the landscape area when the lawn is installed. 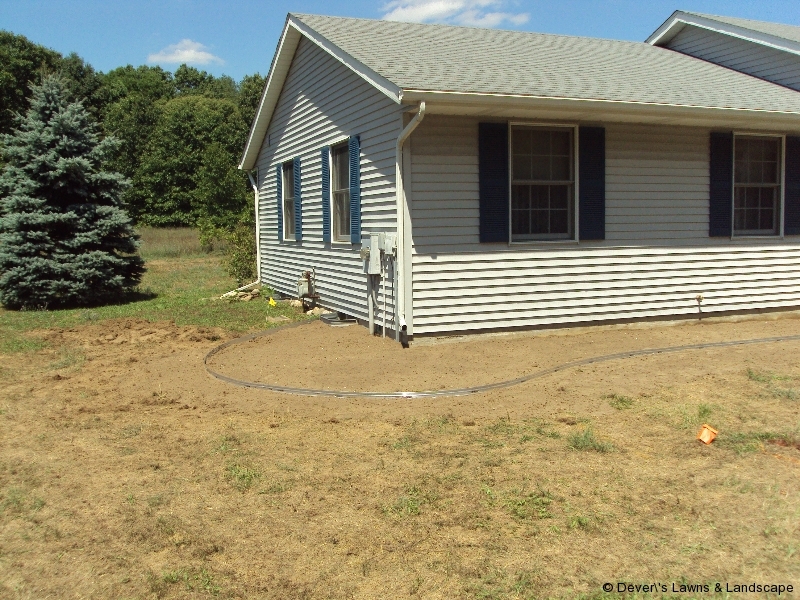 The slight soil build-up and gentle sloping away from the house will provide appropriate drainage. 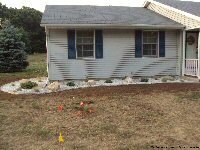 The aggregate bed covering atop the weed screening material will greatly reduce any future maintenance requirement of this beautiful property enhancement.